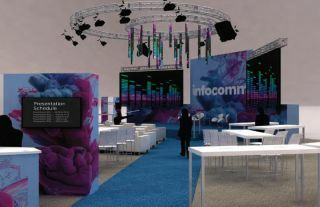 InfoComm International announced the debut of Center Stage at InfoComm 2017, June 14-16 at the Orange County Convention Center in Orlando, Fla. Center Stage will host a dynamic series of conversations among technology practitioners, users, researchers and thinkers. These experts come from diverse fields that use AV technology to extend human capabilities. "InfoComm is an environment for showcasing the best in AV solutions," said Jason McGraw, CTS, CAE, Senior Vice President of Expositions, InfoComm International. "This year, we designed Center Stage to be the platform on the trade show floor where thought leaders will share how AV is impacting their facet of the world." "Center Stage was created to inspire our industry with what AV can really do," said Rachel Bradshaw, Director of Expositions Content, InfoComm International. "The diverse range of speakers will bring their unique perspectives to the stage, shedding light on how AV technology is advancing so many industries. The world of AV is a transformative industry, and these speakers will show you why."